Home » Reviews » “When Genius Failed”: 9 timeless lessons from LTCM, the biggest investing failure in history! LTCM at one point in time was the most revered avenue for the investors to put money. It was churning out formidable returns year after year. Once, it returned capital to even those investors who did not want their money back. At its high point in 1998, it had USD 4.6 billion in partner’s equity. However, its total asset size was much larger than USD 4.6 billion. LTCM used to get heavily leveraged directly by using the credit lines extended by almost all the Wall Street institutions and indirectly by taking exposure in derivatives including credit default swaps (CDS). LTCM is said to have leveraged its equity even up to 1:55 levels using direct leverage at one point of time with 1:30 to 1:40 being the norm. It means that it put USD 1 of its own money and raised USD 55 by debt and invested USD 56 in its own name (at USD 4.6 billion of own equity, this asset size amounts to USD 253 billion, which is 4.6*55). If the value of the investment increased by USD 1 i.e. from USD 56 to USD 57 (a return of 1.7% on total assets), then after deducting debt of USD 55, its equity increased to USD 2, which is 100% return on its own equity. 1:55 was the known direct leverage on LTCM’s equity. No one knew the exact extent of indirect leverage LTCM was carrying on its books. It is said that total exposure size of LTCM ranged in range of USD 3 to 4 trillion, which was spread across markets ranging from US to Japan to EU to Latin America. Such was the extent of LTCM’s leverage that a single basis point (0.01%) change in interest rates/yields would have increased or decreased their portfolio size by many million dollars. LTCM’s investments though mainly classified under arbitrage, varied from interest rate arbitrage, M&A risk arbitrage, geographical arbitrage, currency pairs, derivatives and what not. LTCM’s management team consisted of mathematicians, economists & professors who turned into traders to apply their theories to real life markets. They had the best of the computers at their disposal. 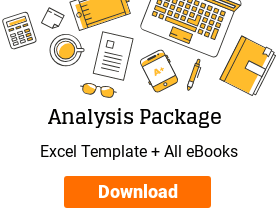 All the known data of financial markets for as many years available, was put into the software and analysed to find out recurrent/normal patterns. The genius fund managers then set out to exploit the aberrations in the markets across the world in any asset class. As per the managers, they had all the normal patterns mapped out for all the situations and traded only when the markets moved away from normal. They took the bet that markets would return to normal, as their models showed that it always did in the past. To be safe, LTCM always seemed to diversify their bets. It is said that they simultaneously held almost 60-70 different kind of trades spread across assets and geographies, to safeguard their portfolio from any catastrophic event. The going was smooth for initial 4-5 years, when markets behaved as expected and LTCM made hefty returns for its investors and managers. However, then struck some of the black swan events and that too with unexpected frequency. First, the East Asian crisis in 1997 and then Russian default in 1998. Such un-natural events and the resultant fear & irrationality of markets could not be predicted and therefore could not be factored in mathematical models. The result was that all their widely diversified investments, which were supposed to behave independent of each other, started losing money simultaneously. Diversification lost its meaning and LTCM started to bleed money on each trade every single day. The leverage played its due part and the revered USD 4.6 billion of equity got almost wiped out in just four months. The fund was finally bailed out by intervention of Federal Reserve in 1998 and was dissolved in 2000. The short life of six year of LTCM is a lesson for all the investors around the world. 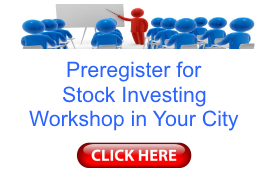 It left the investing world with a lot of learning, which is of immense benefit for all the stock market investors. In the current article, I would highlight the most important lessons that life of LTCM teaches stock investors. These lessons should always be kept in mind by investors while investing their money on their own or handing it over to experts/managers whether at mutual funds or private equity funds or hedge funds. Leverage seems exciting at the start as it turns overall mediocre returns on investments into formidable returns on equity. However, investors frequently forget that leverage is a double-edged sword. It pushes the return on equity during upside; however, it hammers down the same return on equity during downside. Many investors in the initial euphoria forget this basic premise and invest in derivatives like futures & options. LTCM managers learned the effects of leverage by paying up with their careers, social positions apart from personal investments in LTCM. Common investors also many times suffer heavy losses in derivatives. 2) Diversification does not help in crisis. Everything falls down simultaneously. It is widely known belief that diversified portfolios provide cushion during bad times as it is highly unlikely that all the different investments will go down in value simultaneously. However, repeatedly, it has been proved that during a crisis, all the investment assets lose value together. It happened in 1987, repeated in 1998, again in 2000-02 and then in 2008. During such times, all the stocks go down together. LTCM learned it the hard way that the statistical proofs of decreasing standard deviation by increasing the number of investments in a portfolio works best only in computer models. In real markets, the people decide prices and when crisis strikes, it creates panic. During panic, investors lose rationality and everyone runs to safety by dumping every asset they own. Cash becomes the safest investment and everything else including stocks, bonds or real estate is discarded. Result is wide spread fall in prices of all asset classes. No wonder, all 60-70 assets of LTCM lost money together. Therefore, it is advised that investors should not overemphasize on diversification and keep the number of stocks in their portfolio limited. 3) Investing is not pure science. It requires common sense. LTCM assumed markets to be science and mathematics. Their managers believed to predict markets using computer models. However, investing is dealing with assets & companies managed by humans. People run companies but somehow this fact is forgotten by investors. Many investors start assuming companies as mathematical models where a fixed amount of investment in assets or R&D would bring a fixed amount of return. People differ in performance day in and day out. Companies show vastly varying performances, many times for no apparent reasons. People decide the prices in the markets. People have emotions and they become euphoric and panic at unpredictable times. These behaviors take asset prices over the peaks and then down in troughs. Mathematical models cannot predict the timing of such periods and therefore, they should not replace human judgment. Investing is more of an art where once the basic financial numbers are obtained; rest is dependent upon the investor’s subjective judgment and common sense. 4) Intelligence (IQ) cannot guarantee good returns in markets. An investor does not need to have an IQ of 150 to succeed in stock markets. If intelligence had a correlation with the results in stock investing, then LTCM, which had some of the most intelligent people alive on earth, could never have failed. All the mathematics that an investor needs while analyzing stocks is the basics taught in school. Rest is her own judgment, experience, common sense and gut to take decisions. Every one whether you or me, whether having finance background or not, has equal chances of doing good in stock markets provided one is willing to put in the required time & effort to read and analyse stocks. 5) Institutional investors are not always right. Seemingly smart money does act dumb many times. Many investors try to mimic the investment decision of large institutional investors or FIIs or famous high net worth investors. LTCM episode is a glaring proof that no one is above errors. Investors who follow others do so at their own peril. 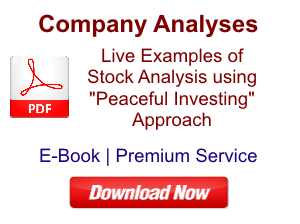 It is advised that investors should invest in stocks only after doing their own research. Peter Lynch, in one of the best books on investing “One up on the Wall Street”, says that investing in stocks without doing own research is like playing poker without looking at your own cards. 6) Markets are irrational or we should say are not purely rational. One of the most popular theories prevalent today is that markets are efficient. 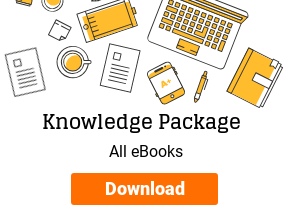 Efficient Market Theory suggests that all the participants in the market have same amount of information and they all react to the presented information in the same highly rational manner. However, any investor who has an experience of few years of investing or observing or analyzing stocks, would say that markets are not always rational. Stock prices move to extremes as market participants overreact to both good and bad news. Charlie Munger says that Efficient Market Theory was devised by so-called experts, mathematicians who wanted to apply their knowledge to markets and therefore devised the assumptions, which let them apply their theories to market prices. Efficient Market Theory formed a perfect platform for such application of mathematics as happened in case of LTCM. LTCM managers assumed that markets are rational and whenever any change occurs, all the market participants would react in most rational manner and bring the prices to new rational level, which could be predicted by computer models. The fall of LTCM provides another proof that markets are made of emotional human beings, who act irrational all the time. Market prices do not always reflect the rational levels and therefore, provide many opportunities for keen value investors to achieve good returns. 8) Put only that much money into markets, which you can afford to lose without going bankrupt. 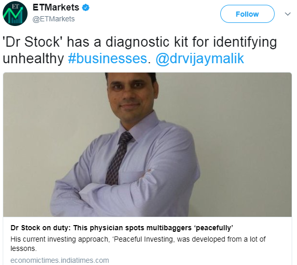 Stock markets are irrational and would always provide the investor with opportunities of investing in stocks, which are available at a discount to their actual value. Such opportunities present excellent wealth generating avenues. However, markets may not recognize the aberration in pricing of these stocks immediately after an investor buys them. Moreover, there may be many months or years before a good performing company with cheap share price is recognized by other market participants and its price increases in value. 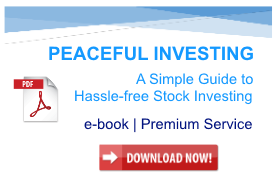 Markets are known to test the patience of investors with very long periods of inactivity. Such periods creates feelings of frustration and self-doubt in investors and many times, makes them take wrong decisions exact at precisely wrong times. Stock markets require patient capital and staying power. LTCM with its huge equity of USD 4.6 billion could not remain solvent during the time taken by markets to return to rational levels. The same can happen to individual stock investors as well. It is therefore, advised that an investor should have an emergency fund and save money for other critical life decisions before she decides about investing in stock markets. 9) Never invest in stocks of your employer. You may lose your job and savings together. Most of the employees of LTCM invested their savings and bonuses in the LTCM fund itself. They were happy to get an opportunity to invest in a fund, which had stopped taking investors’ money. They were happy to see their personal net-worth grow initially, but got the shock of their lives when their job and savings vanished simultaneously. LTCM episode cautions salaried investors while investing in stocks of their employers just like previous episodes of Enron and WorldCom did. This ends the current article about the learning from the fall of the most revered hedge fund of all times “Long Term Capital Management”. I suggest that every stock market investor should read about the story of LTCM, its rise, its fall and the learning from its experiences. The book “When Genius Failed” is a nice and simple read about the life of LTCM and should be a source of great learning lessons for every investor. 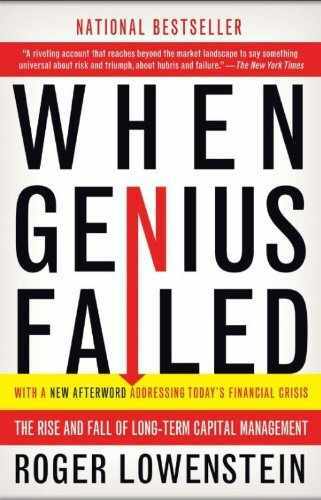 Have you read “When Genius Failed” or any other book on fall of Long Term Capital Management? What is your learning out of this episode? I would be happy to know about your learning. You may share your views in the comments below. It would be useful for the author as well as all the readers.